*Prime N/W Corner King/John! *Prestige "Festival Tower" By Daniels Atop Bell Tiff Lightbox! *Outstanding Complex+Recreational Facilities Located In The Heart Of Toronto's World Class Entertainment District+Just Mins From Fine Dining,Theatres+Shopping! 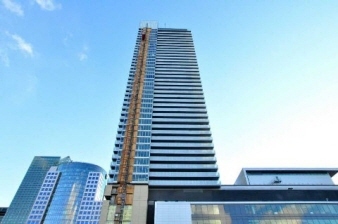 *Spectacular 1+1Br 1Bth West Facing Suite! *4Pce Semi-Ens Between Mbr+Den! *Hi Ceilings W/Abundance Of Wndws+Lite! *Fab Kit Space! *Panoramic Lake+Cityscape Views! *Approx 674' W/Approx 119' Balcony As Per Bldr!